Do you love sandalwood? 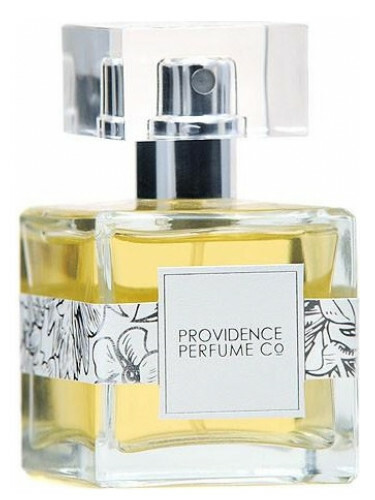 If so, you are really missing out if you haven’t tried Providence Perfume Co. Vientiane. Review spoiler alert: Vientiane is an amazing sandalwood. It is the perfect mix of nutty, creamy, green and woodsy. From the beginning Vientiane is a very obvious sandalwood. It opens with a mix of “creamy green” sandalwood. In addition, there is a very realistic jasmine rice accord.¹ It smells like the steam from a pot jasmine rice. There’s a subtle greenness that at times I think are garden greens until I realize it’s one of the aspects of the sandalwoods. The sandalwood begins to shift into a drier, woodsier sandalwood. The jasmine rice starts to remind me of rice milk. It goes through a stage where it’s a spicier, milky sandalwood with a hint of something ginger-y like turmeric. It dries down to a powdery, but still milky sandalwood. It’s like a mix of balsamic notes and tuberous notes, that sort of remind me of like if orris root could also smell like ginger (“earthy spicy” – if that makes any sense). I’m going to say something big here. Are you sitting down? As to date, Vientiane is my all-time favorite sandalwood-centric perfume. In fact, I realized that until I tried Vientiane that I’ve basically forgotten what sandalwood smells like. There’s been an influx of some pretty good synthetics and Australian sandalwood (Santalum spicatum) in perfumes for decades now. It’s been so long that I started to think that was what sandalwood was.² But, with Vientiane, I’m reminded of why I loved sandalwood in the first place. This is the creamy, warm, buttery, complex sandalwood that I remember. I can here some of you asking, “Well, just buy some really expensive sandalwood oil” and I understand. But, there’s more going on with Vientiane. The addition of the jasmine rice accord is brilliant, as is the addition of ginger-y florals. Even though it’s a sandalwood-centric scent, it manages to smell like perfume instead of a therapeutic essential oil (or like a perfume’s base). You have to try Vientiane if you like sandalwood. Or if you like perfumes that are sandalwood-centric like Elizabeth & James Nirvana Black, Raw Spirit Wild Fire, Serge Lutens Santal Majuscule, Ramon Bejar Secret Sandalwood and/or Edward Bess Spanish Veil. Projection is average (to below average). Longevity is above average. The 1.7 oz retails for $175 at Providence Perfume Co. Samples are also available for purchase. Victoria’s Final EauPINION – Sandalwood and rice milk. As of May 2018, this is my favorite sandalwood perfume. It’s milky, warm and reminds me of sunshine and driftwood. ¹When Charna sent me a sample of this perfume, she also threw in some of her jasmine rice tincture. I don’t know if this was a coincidence or maybe one time I may have told (or blogged) about how much more I wish jasmine rice/rice was used in perfumery. Anyway, that jasmine rice accord is absolutely stunning. If she were to make it an oil or a perfume, I think I’d buy it to basically layer with everything. ²There’s nothing wrong with either of these types. I’m just saying that I remembered sandalwood being one way but keep smelling something else. I was starting to think that I was the problem…that I was remembering it all wrong or that my tastes had changed. That me a small part of it but I can say Vientiane smells like how I remember sandalwood smelling. *Disclaimer – Sample provided by the brand. I am not financially compensated for my reviews. My opinions are my own. Product pic from the brand. France Nuyen pic from fanpix.net. Ohhhhhh wow. If you’ve put this at the top of your sandalwood list, I *definitely* have to try it. I don’t know what my current favorite sandalwood-centric perfume is anymore. There are woodsy perfumes that have a decent sandalwood aspect that I enjoy, but I pretty much gave up on looking to replicate what I remember from my childhood. I think I mentioned before that an Indian family friend gifted me a sandalwood bookmark that I kept in a pencil case. This was back before Mysore sandalwood was still plentiful. Oh the joy of opening that case to inhale the incredible aroma. I don’t know what happened to it, but I would love something that evokes the memory (even if it’s not the same scent). Thanks for providing a potential candidate! There are many that I like but none were what I remembered from back in the day (when Mysore sandalwood wasn’t over-harvested). I guess I liked SL Santal Majuscule the best. And then maybe Sana Jardin Sandalwood Temple, which is new-ish. Oh, I really want to try the Dita Von Teese Scandalwood because the name makes me laugh. I hope you get to try this. I look forward to hearing if it reminds you of how you remember the Mysore sandalwood smelling. I was so excited to read your review! I discovered Vientiane soon after its release, and fell head over heels enough to get a full size bottle. I’d always thought that I didn’t like sandalwood, but it turns out I just had never smelled real, high quality sandalwood — once I did (in Vientiane), I finally understood the love. And the jasmine rice lends such a delightful creaminess to the fragrance — I’m completely smitten! Yay! I’m so happy that this helped you “understand” sandalwood. I really think this is a perfume for those that love or even don’t love the note! It really is about the quality, like so many other things in life. You really can smell the difference with this one. I don’t know how to explain it, but for me, this just smells “right”. It’s a complete sandalwood. A full-size is on my wishlist. I completely agree about the natural sandalwood in Vientiane. It’s very apparent that Charna Ethier made full use of her skills as a perfumer to make the sandalwood shine in its pairing with the jasmine rice tincture. It is stunning. Charna really did use her skills, artistry and access to great materials to make a timeless perfume.